Focused Concentrated Energy to control Successful Clinical Outcomes Patented technology allows for focused, safe and deep heating of tissue at various depths of penetration. This technology operates via a single electrode delivering concentrated RF energy that reaches deeper layers of the skin with minimal discomfort and no downtime. The vShape Ultra offers the HIGHEST power on the market today with minimal energy loss through impedance matching. When RF energy is transmitted to tissue, the body’s electrical resistance causes power to reflect back to the energy source. 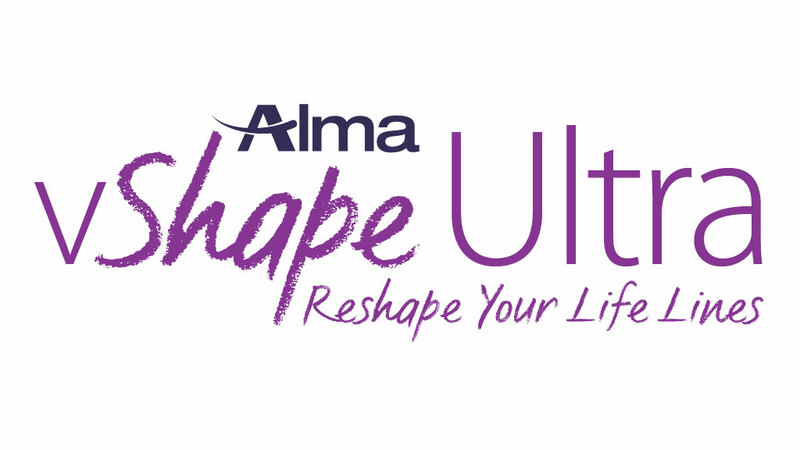 With the highest peak power in the market today, the Alma Ultra effectively overcomes the body’s impedance, reducing reflection to allow for maximum energy absorption. The vShape Ultra gives providers the ability to control the precise depth of energy penetration with focused heating, meaning providers can target specific areas at the specific depth for optimal results. Focused treatment at multiple depths allows for greater treatment control and maximized results. Multiple technologies and treatment options help you treat more patients and maximize results. Treatments with the Alma Ultra are safe and effective for all skin types (I-VI) as well as for thin and delicate areas of the face, neck and décolleté. By utilizing a combination of RF energy and mechanical massage, treating cellulite has never been easier. Gradual heating and an integrated cooling system prevent pain for more comfortable treatments. Treating wrinkles and rhytids with deep or superficial RF energy gives you a competitive edge. Uneven skin texture can be smoothed out and balanced using focused microplasma RF technology on all skin types.